Hey everyone! Sorry it's been awhile since I've posted a new recipe. This Christmas season was super busy for us, and blogging got pushed aside for a few days! My daughter and I spent alot of time with family and loved enjoying each others company. I had 4 days off work which was fantastic since time off work doesn't come often! I hope you and your family had a very Merry Christmas this year! 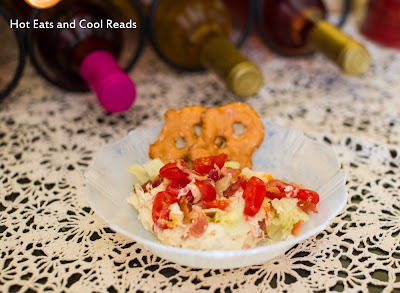 Both of our Christmas celebrations this year had an appetizer food theme, so I decided to try out this BLT Dip for Christmas at my Mom's house! I pulled it out of the oven and everyone devoured it! The flavors were fantastic and it was so cheesy. Yum! This is a great recipe for any party or gathering. 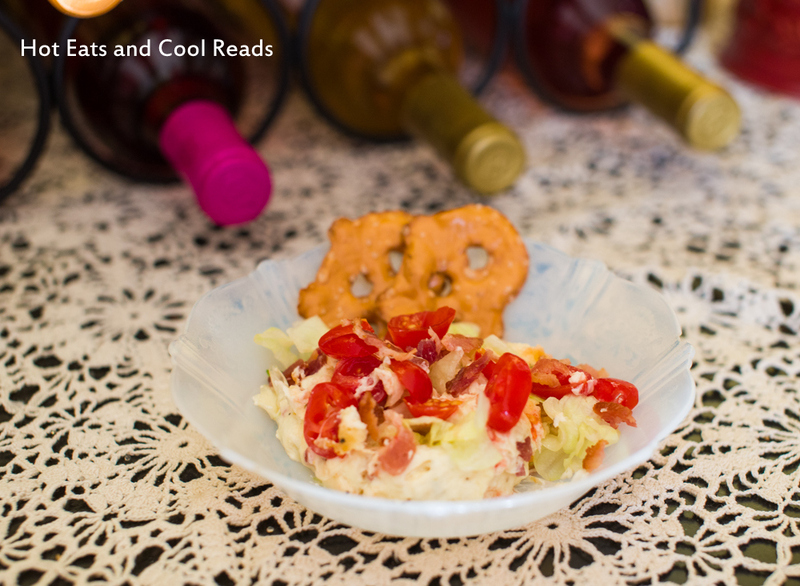 We served it with tortilla and pretzel chips, but would also be fantastic with pita chips, crackers or crostinis! This is definitely a new favorite appetizer in our family! Big thanks to my sister Shannon for taking these amazing pictures for this post! Preheat oven to 350 degrees. Spray a 1 1/2 quart baking dish with non-stick spray. Set aside 1/2 cup crumbled bacon. In a large bowl combine remaining bacon, cream cheese, mozzarella, provolone, sour cream, mayo, Italian seasoning, garlic powder, dijon, salt and pepper. Spoon mixture into the baking dish. 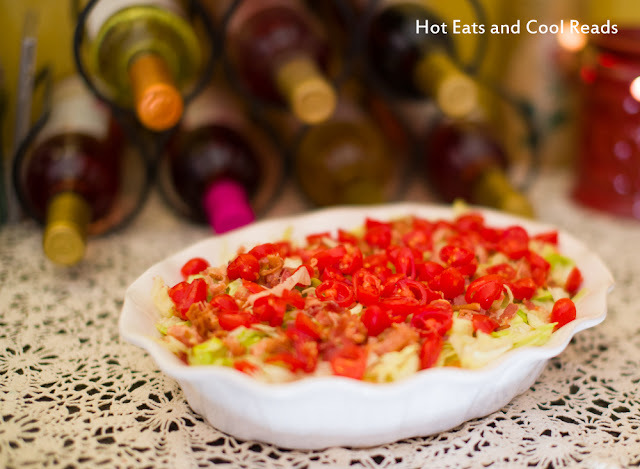 Bake for 25-30 minutes or until hot and bubbly. Sprinkle with lettuce, tomatoes and remaining bacon. Serve immediately with crackers, pretzel, tortilla, or pita chips!! This sounds yummy! Found it on Miz Helen's Country Cottage. Pinned it! Love it! Thanks so much for sharing to Whimsy Wednesdays. LOVE this!!! I can't wait to have it again! Oh my gosh YUM! I'm looking for different ways to use my summer tomatoes, this will have to be made! Enjoy! This would be fabulous with summer tomatoes!